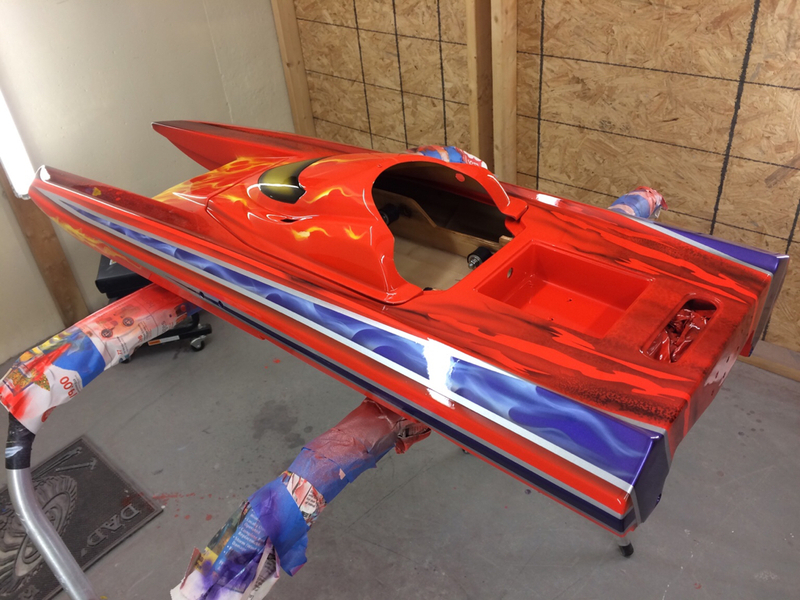 Nick Battiato runs RC boats with us lake guys. 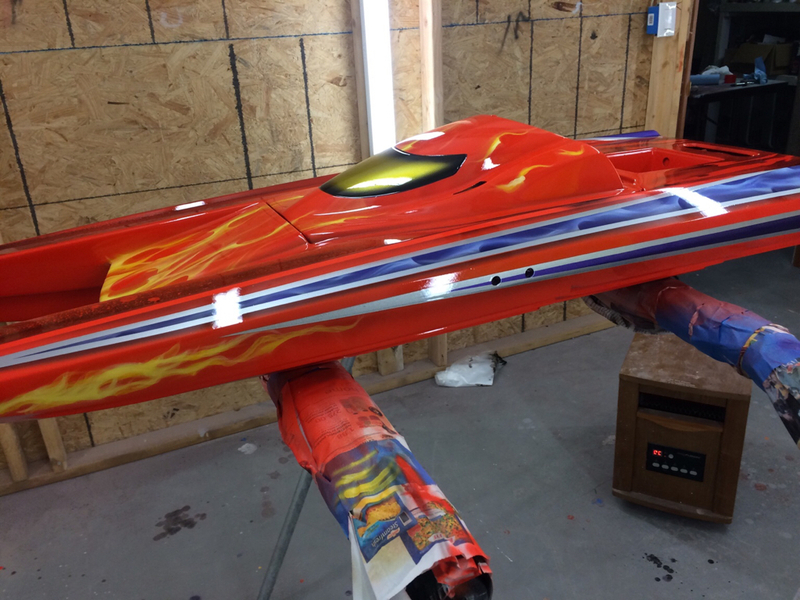 He dabbles in custom paint on these boats, motorcycles, etc. I have been wanting him to paint my T44 all summer. Well I finally worked out a deal with him and he done an amazing job. Got it rigged last week.